Journey Home opened its doors in 1988. We're a family-owned small business now in our second generation. We have 1,600 sq ft of retail space dedicated to our customers on the path of intentional living and spiritual evolution. 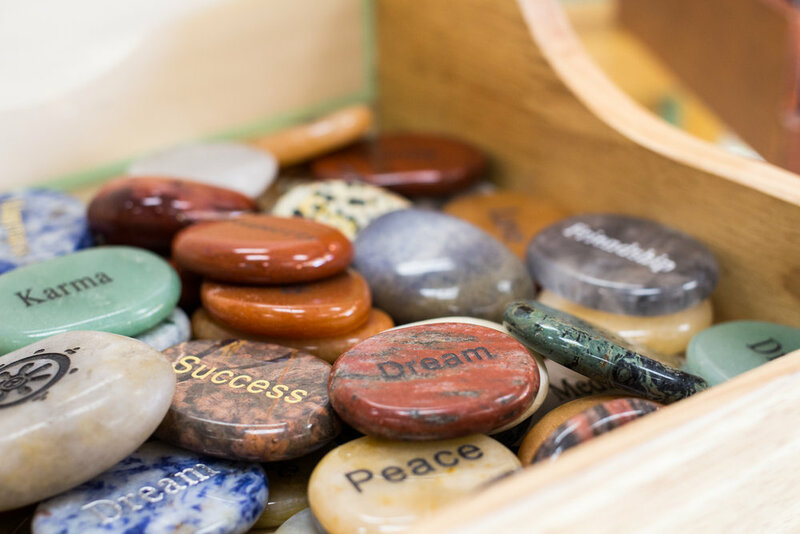 Whether you're looking for meditation supplies, seeking that special crystal to infuse with reiki, or searching for the perfect gift to inspire a loved-one with love and light ... Journey Home has what you need. And for those who'd like spiritual & practical guidance or seek contact with the other side we offer Psychic & Intuitive Readings with Ventura County's best psychics. We're also committed to offering classes & events to support the conscious evolution of humanity. Visit our Classes & Events page to find out more. sacred art & home decor. 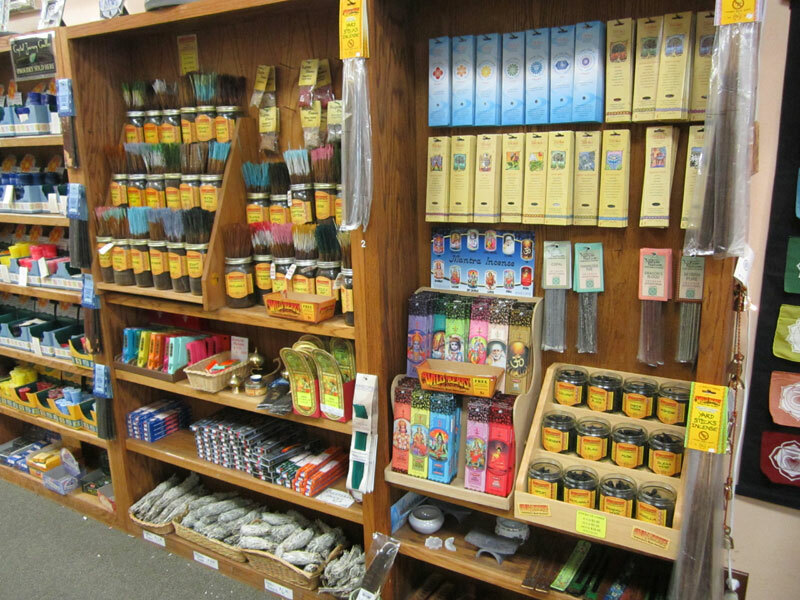 We have a wide range of products for our customers on the path of spiritual evolution and intentional living. Our inventory is constantly changing as we search out the exotic, the rare, and the beautiful. Journey Home offers 15 jewelry cases of gemstones, crystals, and jewelry from around the world. and amulets for protection, love, and healing. We have 250 types of crystals and gemstones in all shapes and sizes including quartz crystal balls and geodes. Our tumbled stone table houses thousands of pocket and medicine-bag sized crystals, We have baskets of palm-sized stones, bowls of heart-shaped stones, and polished points large and small. Recently we've added a modest bead section, featuring single gemstone beads like garnet, tanzinite, larimar, citrine, and many others. fairies, mermaids, dragons, angels, and decorative figurines. 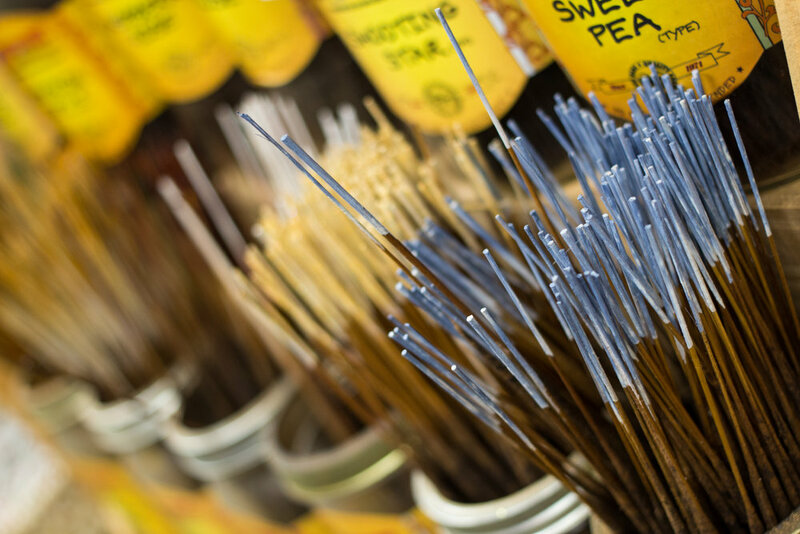 We carry incense sticks, cones, resins, charcoal, sage, sweet grass, and palo santo wood, and we've even added an herbal section as well. candles for ritual, prayer, ambiance, and healing. We have a section dedicated to chakra work with candles, singing bowls, scrolls, and gifts. We carry Tarot Cards, Oracle Cards, and LeNormand Cards as well as other divination supplies like Pendulums. Our book section features a wide range of metaphysical and magical books from angels to wicca, astrology to tarot, and everything in between. 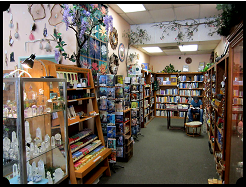 We have 3 racks of greeting cards, 40 different tarot decks and sets, 30 oracle decks, and 2 racks of music CDs. Add to that essential oils, pendulums, rune sets, windchimes, dreamcatchers, decorative boxes, wall hangings, garden sculptures, chakra banners, tapestry blankets, and so much more! Basically, we have A LOT of inventory and if we don't have what you're looking for, we're happy to get it for you if we can! Sign up with your email address to receive enlightening content and invitations to classes & events. **BONUS** you’ll also get a 20% discount coupon as our way of saying THANKS!